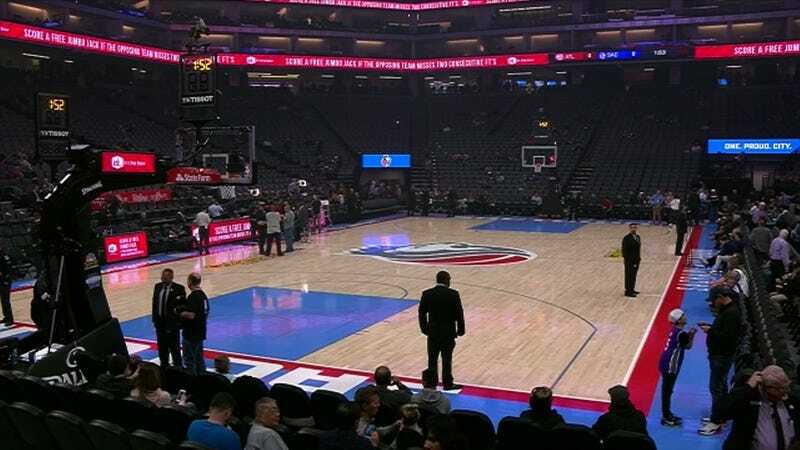 Protestors responding to Sunday’s police shooting of Stephon Clark effectively shut down the arena before tonight’s Hawks-Kings game and forced a lengthy delay before the matchup finally tipped off in front of a sparse crowd of fans who made it in before the entrance gates were closed. Sacramento police shot and killed the unarmed, black 22-year-old in his grandparents’ backyard after officers mistook his phone for a gun. Police released the body camera video footage today. Protestors marched down Interstate 5 and made their way to the arena a little less than an hour before the game’s originally scheduled tipoff of 7 p.m. The entrances to the arena were soon closed, leaving many fans who had been waiting to get in and take their seats stranded. Update (10:44 p.m. ET): The Kings have issued a statement.